The Drug Enforcement Administration, on the other hand, has called kratom an “imminent hazard to public safety,” advocated making it a Schedule 1 drug -- the same as heroin, LSD, marijuana, and ecstasy." The products total an estimated 10,000 units and were sold directly to consumers on company websites between January 18, 2018, and February 18, 2018. Customers who purchased the recalled products should not consume them, but return them to PDX Aromatics. 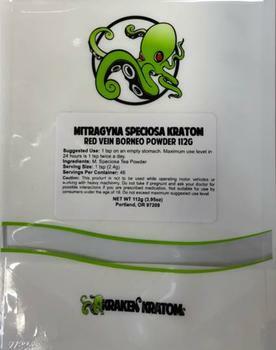 Consumers wishing to receive a refund should visit the site from which they purchased the products (http://krakenkratom.com/recall, http://phytoextractum.com/recall, or http://soulspeciosa.com/recall) and follow all instructions for returning recalled products within 14 business days. Consumers with questions may contact PDX Aromatics at 503-850-9225, 9am – 5pm (PT), Monday-Friday or by email at media@pdxaromatics.com.